A spectacular second stage in Campomuletto was decisive for the final places in PreO World Championships; Latvian Mankus and Swedish Wiksell separated by only 37 seconds; convincing success for Johansson in the Paralympic class and surprising Croatians Sunny weather for the second stage in PreO World Championships at Rifugio Campomuletto, over the small town Gallio. The course by Roberto Manea was very tricky in the first controls and then much easier; the competitors needed to check carefully all the stones, in order to see which one were mapped and which not, and also the various green dots and spots representing small and big coniferous trees; much attention was required also for the terrain forms and the height difference. 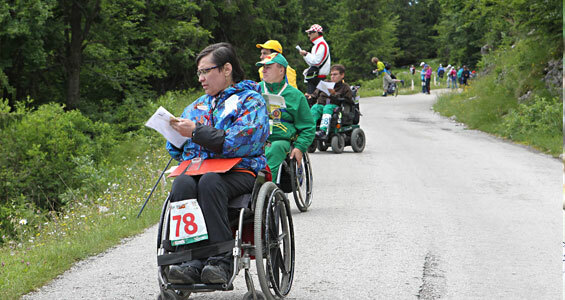 No one among the 99 competitors completed his course without mistakes; only 9 people in the Open class and one in the Paralympic class obtained a score of 19/20. The Latvian Guntars Mankus and the Swedish Marit Wiksell were the only 2 athletes of the head group of the 1st stage with only 1 mistakes and the Latvian could get the gold medal thanks to his performance at the timed controls. The best of the 2nd day, the Ukrainian Kyrychenko, missed the podium for only 7 seconds against the Norwegian Øien. The leader after Day 1, Elvio Cereser, went back to 16th place. In the Paralympic class no problem for The world and european champion Michael Johansson, gold medal with 2 points gap on his teammate and former world champion Ola Jansson; bronze for the best in Campomuletto, John Crosby from Great Britain. The Croatian team recovered form the poor performance in Millegrobbe and grabbed the gold medal thanks to 19 points from both Ivo Tisljar and Zdenko Horjan and 18 points from Ivica Bertol. Sweden had to settle for silver ahead of Latvia, which relegated Ukraine to another fourth place.